Daryl Quitalig - For Shaw Media Prairie Ridge quarterback Samson Evans (22) runs the ball in the second quarter of an IHSA Playoff Class 6A quarterfinal football game at Prairie Ridge High School Saturday, Nov. 1, 2017. 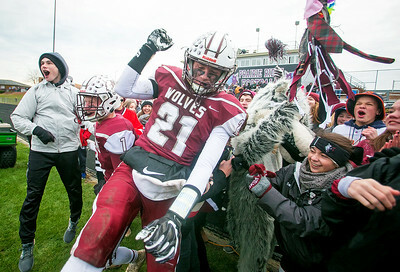 The Wolves won, 42-7, and clinched its third straight semifinal appearance. 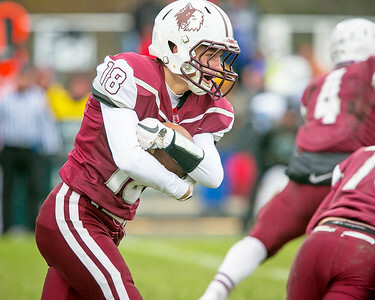 Daryl Quitalig - For Shaw Media Prairie Ridge Blake Brown (18) runs the ball in the fourth quarter of an IHSA Playoff Class 6A quarterfinal football game at Prairie Ridge High School Saturday, Nov. 1, 2017. 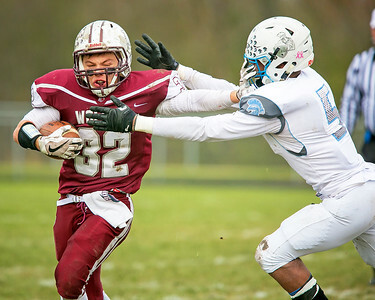 The Wolves won, 42-7, and clinched its third straight semifinal appearance. Daryl Quitalig - For Shaw Media Prairie Ridge running back Zach Gulbransen (32) stiff arms Willowbrook lineman Kevon Dobbins (5) on a run in the second quarter of an IHSA Playoff Class 6A quarterfinal football game at Prairie Ridge High School Saturday, Nov. 1, 2017. The Wolves won, 42-7, and clinched its third straight semifinal appearance. Daryl Quitalig - For Shaw Media Prairie Ridge quarterback Samson Evans (22) celebrates a touchdown in the second quarter of an IHSA Playoff Class 6A quarterfinal football game at Prairie Ridge High School Saturday, Nov. 1, 2017. 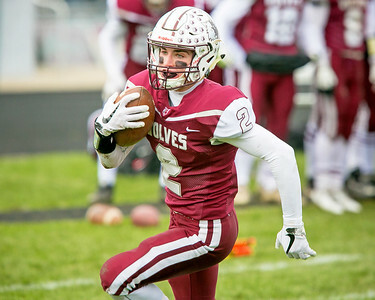 The Wolves won, 42-7, and clinched its third straight semifinal appearance. Daryl Quitalig - For Shaw Media Prairie Ridge running back Ethan Kirchberg (2) runs before a 16-yard touchdown in the second quarter of an IHSA Playoff Class 6A quarterfinal football game at Prairie Ridge High School Saturday, Nov. 1, 2017. 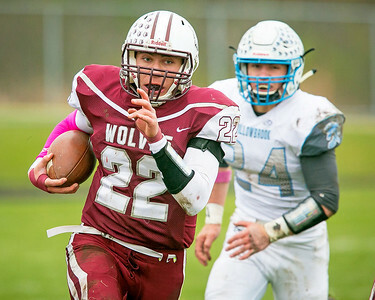 The Wolves won, 42-7, and clinched its third straight semifinal appearance. Daryl Quitalig - For Shaw Media Prairie Ridge defensive back Kyle Koelblinger (8) tackles Willowbrook receiver Jacob Entwistle (17) in the fourth quarter of an IHSA Playoff Class 6A quarterfinal football game at Prairie Ridge High School Saturday, Nov. 1, 2017. The Wolves won, 42-7, and clinched its third straight semifinal appearance. 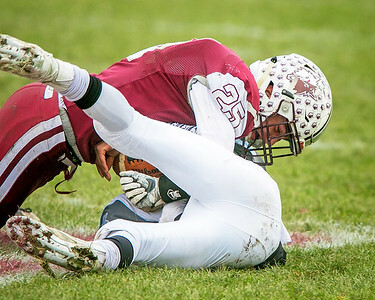 Daryl Quitalig - For Shaw Media Prairie Ridge Jacob Ommen (25) sacks Willowbrook quarterback John Taylor (15) in the fourth quarter of an IHSA Playoff Class 6A quarterfinal football game at Prairie Ridge High School Saturday, Nov. 1, 2017. 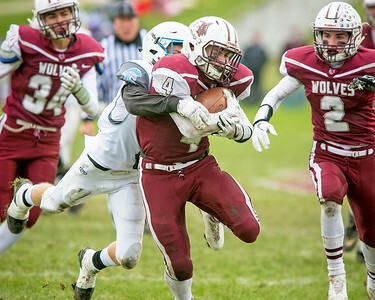 The Wolves won, 42-7, and clinched its third straight semifinal appearance. Daryl Quitalig - For Shaw Media Prairie Ridge linebacker Jacob Ommen (25) finishes a tackle on Willowbrook receiver Martique Barsdale (7) in the third quarter of an IHSA Playoff Class 6A quarterfinal football game at Prairie Ridge High School Saturday, Nov. 1, 2017. 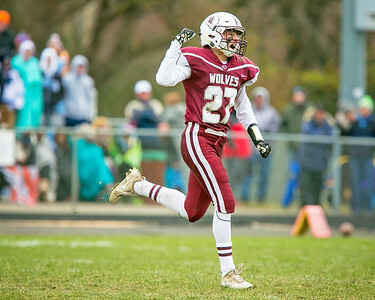 The Wolves won, 42-7, and clinched its third straight semifinal appearance. 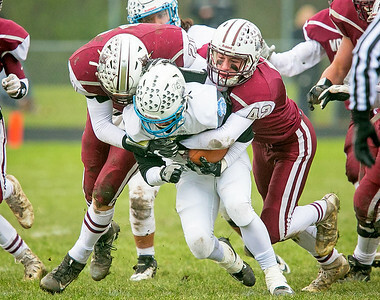 Daryl Quitalig - For Shaw Media Prairie Ridge linebackers Joe Perhats (21) and Drew Fryer (42) tackle Willowbrook running back Chris Diaz (21) in the third quarter of an IHSA Playoff Class 6A quarterfinal football game at Prairie Ridge High School Saturday, Nov. 1, 2017. The Wolves won, 42-7, and clinched its third straight semifinal appearance. Daryl Quitalig - For Shaw Media Prairie Ridge Joe Perhats (21) celebrates with fans immediately after an IHSA Playoff Class 6A quarterfinal football game at Prairie Ridge High School Saturday, Nov. 1, 2017. 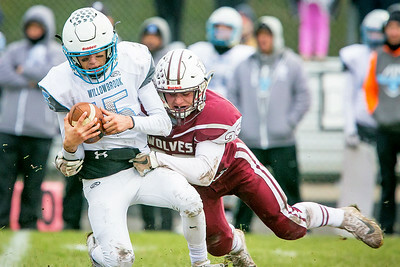 The Wolves defeated Willowbrook, 42-7, and clinched its third straight semifinal appearance. Daryl Quitalig - For Shaw Media Prairie Ridge's Michael Pilafas (27) celebrates running back to the bench after a defensive fumble recovery in the third quarter of an IHSA Playoff Class 6A quarterfinal football game at Prairie Ridge High School Saturday, Nov. 1, 2017. 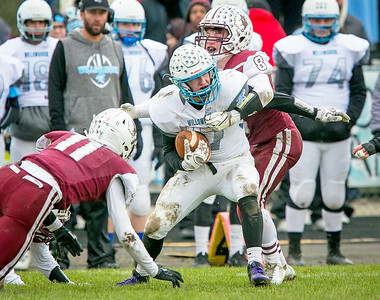 The Wolves won, 42-7, and clinched its third straight semifinal appearance. 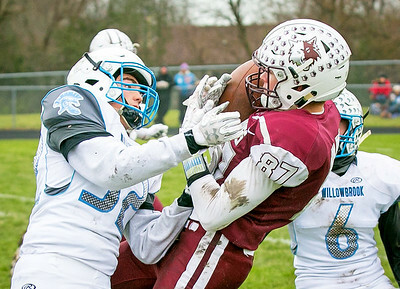 Daryl Quitalig - For Shaw Media Prairie Ridge tight end Cooper Tomlin (87) catches a 45-yard pass in the second quarter of an IHSA Playoff Class 6A quarterfinal football game at Prairie Ridge High School Saturday, Nov. 1, 2017. The Wolves won, 42-7, and clinched its third straight semifinal appearance. Daryl Quitalig - For Shaw Media Prairie Ridge running back Jackson Willis (4) runs the ball in the third quarter of an IHSA Playoff Class 6A quarterfinal football game at Prairie Ridge High School Saturday, Nov. 1, 2017. The Wolves won, 42-7, and clinched its third straight semifinal appearance. Prairie Ridge running back Ethan Kirchberg (2) runs before a 16-yard touchdown in the second quarter of an IHSA Playoff Class 6A quarterfinal football game at Prairie Ridge High School Saturday, Nov. 1, 2017. 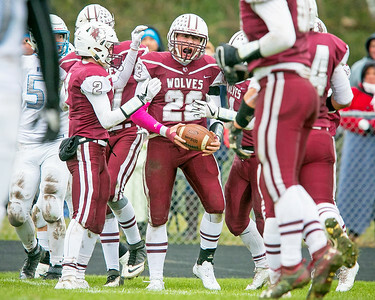 The Wolves won, 42-7, and clinched its third straight semifinal appearance.